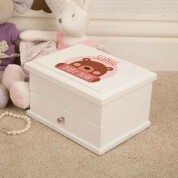 Any little Girl's Nursery or Bedroom Decor will be enhanced by the addition of this stunningly good quality jewellery box. 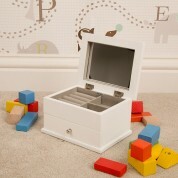 Made from solid wood and certainly not a toy as it is fully lined throughout. 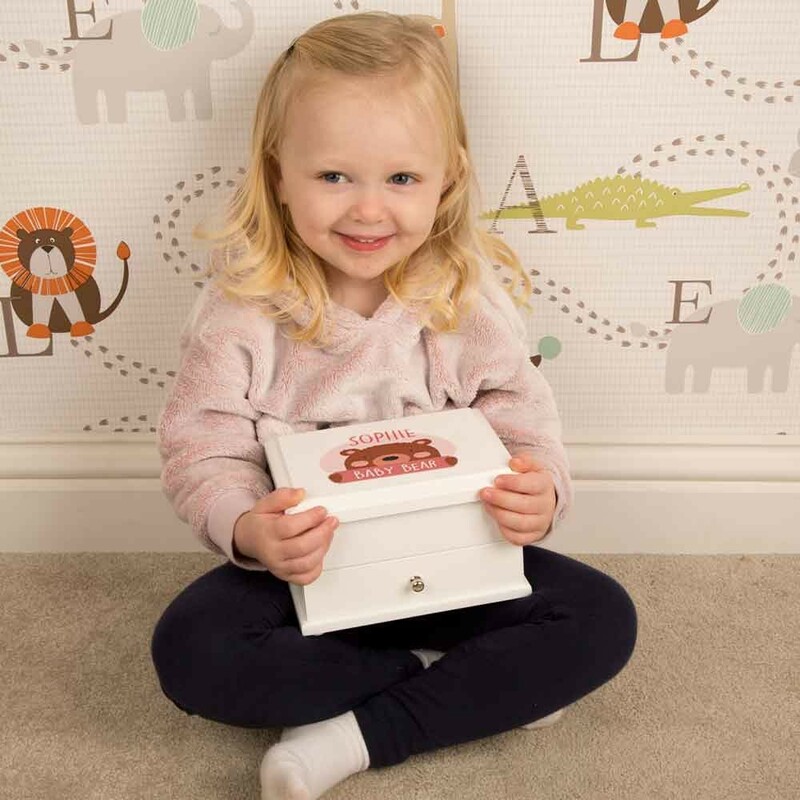 The personalised design will ensure its place as a lasting keepsake and if you are buying this as a proud Aunt or Uncle for your Neice or God Daughter then you will greatly look forward to presenting it to the recipient. As per images, the design will have the little girl's first name added.